You can access the Reservations Menu in two places. 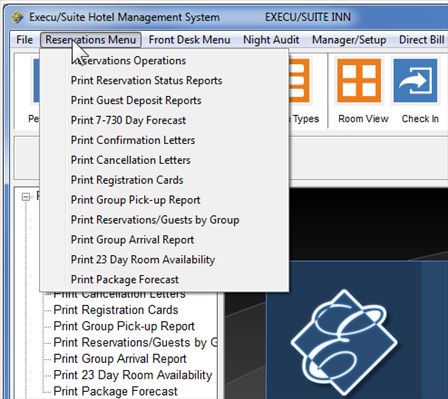 ...or expand the Reservations Menu in the sidebar tree menu, then click Reservations Operations. 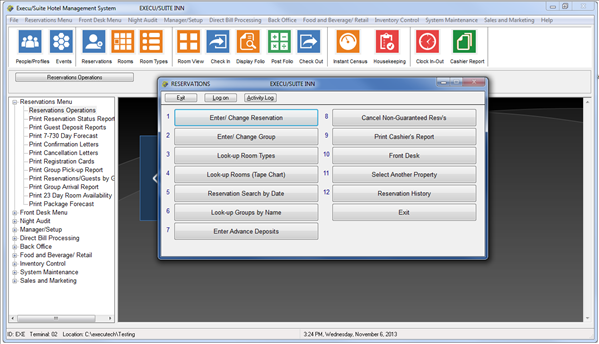 The more common Reservations screens are on the toolbar for quick access. Icons can be added or removed.